Dhokla, my all time favorite snack. Dhokla can be a healthy alternative to Gluten since besan does not contain gluten, it is a great substitute for wheat and other gluten-containing grains, for those people who are allergic to gluten(just skin adding semolina, and you will get your gluten free dhokala). 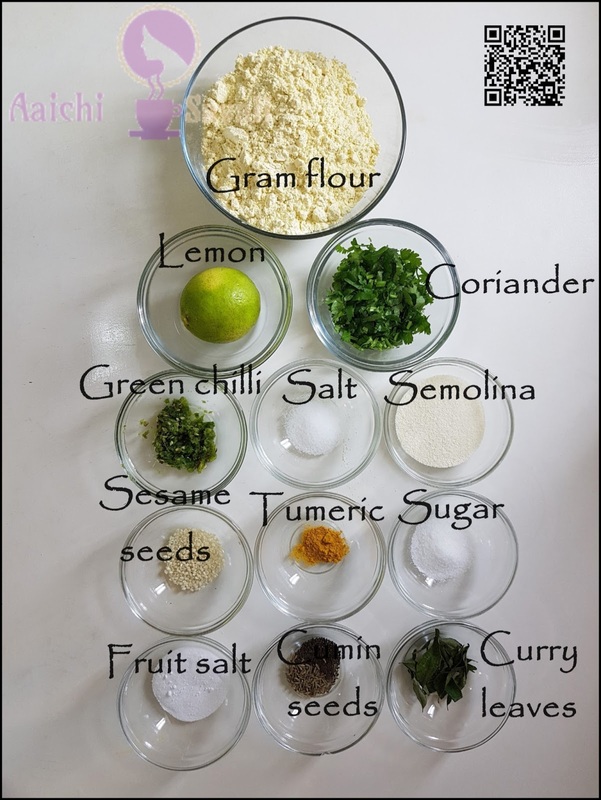 I like everything about this recipe, it's instant and easy to make and has a wonderful flavor and which makes dhokla a delicious snack. 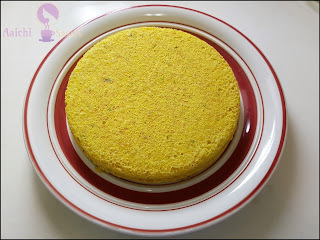 This steamed cake prepared with chickpea flour and tempered with Indian spices. It is tangy, spicy and fluffy. A mouth-watering, nutritious snack that’s healthy and vegan too! This delicious dhokla can be served with coriander or tamarind chutney, fried green chilies. 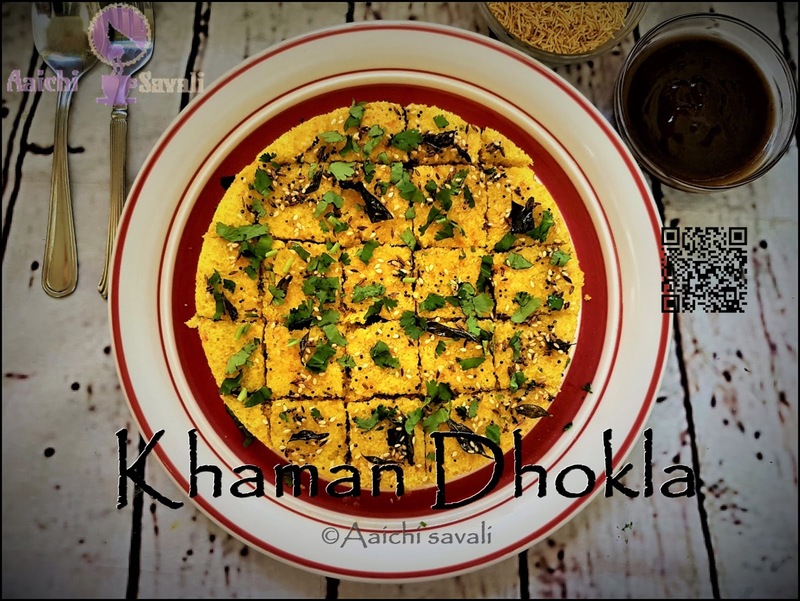 This savory, steamed vegetarian snack is primarily from the state of Gujarat and also known as khaman dhokla. 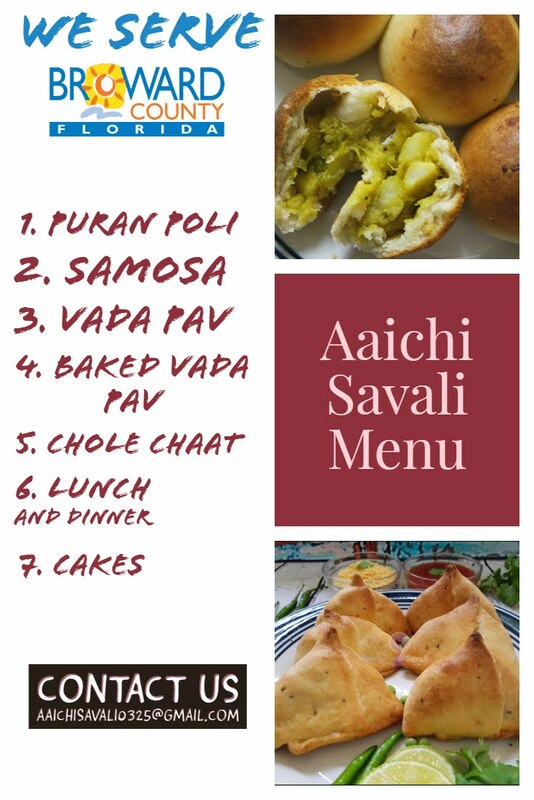 It is a common street food throughout India. It is healthy, low calorie and tasty, it is light on the stomach yet filling. You can serve this power-packed dhokla for breakfast, snack or dinner. So let's start. Each Serving of Dhokla Contains 33.35 Calories. In a bowl mix gram flour, semolina, lemon juice, salt, sugar, green chilli, ginger-garlic paste, turmeric mix well and add water to make a smooth and thick batter for Dhokla. Meanwhile grease the pan with oil. Now, add fruit salt or Eno 1 tsp to the batter and mix all gently. greased pan and spread evenly. 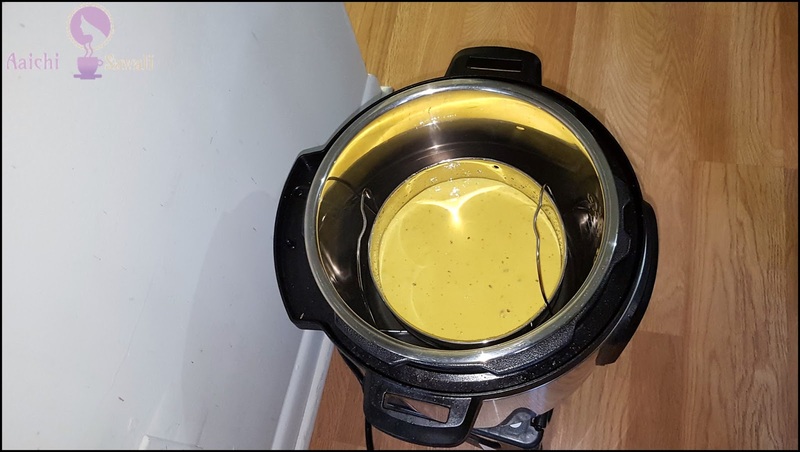 Pour 1 cup of water into the instant pot and place the stand or trivet into the pot. 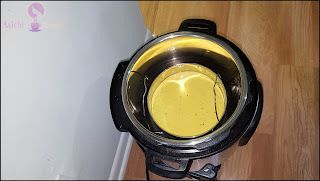 Place lid on pot and lock, and steam for 10 minutes using steam mode of the instant pot, after 5 minutes quick release. Now, add veg.oil in a pan and add mustard seeds, cumin seeds, curry leaves, asafoetida and sesame seeds let it splutter. Pour this prepared tempering over the dhokla and garnish with chopped coriander leaves. Now, let it cool slightly and cut into square shape pieces. 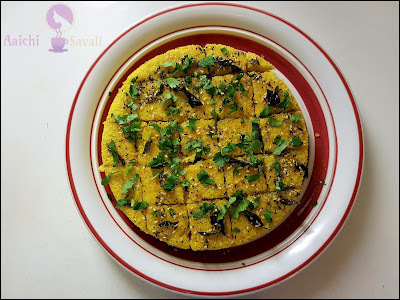 Tadaa, tangy, fluffy and tasty khaman dhokla is ready to serve. Enjoy!!! 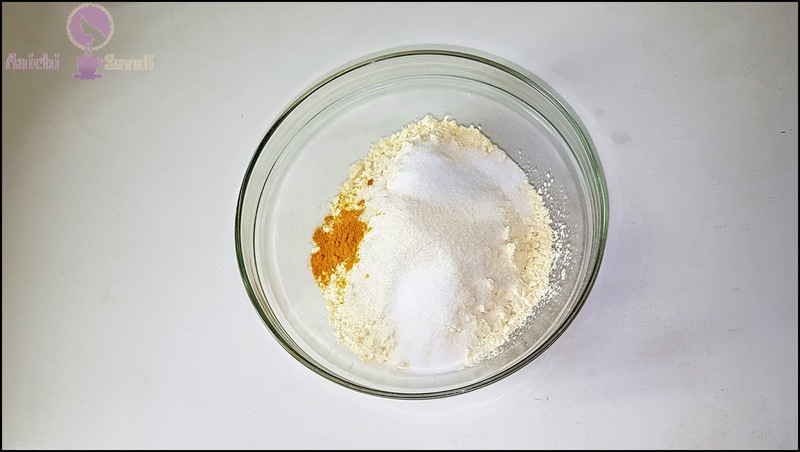 with carbohydrates - 4.24 g, fats - 1.16 g, proteins - 1.34 g.
Protein - Chickpea flour have high protein content it can be easily be consumed by vegetarians to fulfil their protein needs. 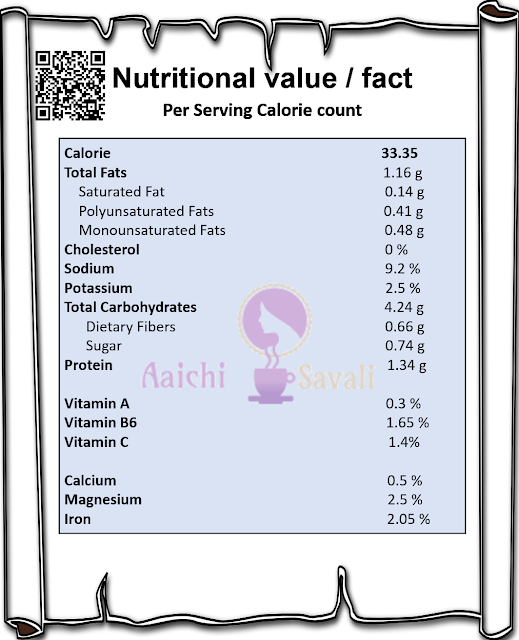 Lowers cholesterol - it contains healthy unsaturated fats which help in lowering the cholesterol level of the body. Dhokla Healthy alternative for Gluten, since besan does not contain gluten, it is a great substitute to wheat and other gluten containing grains, for those people who are allergic to gluten. Anaemia - Being rich in iron, consumption of besan on a daily basis can help your body recover from iron deficiencies like anaemia. Helps regulate mood and appetite as besan is rich in vitamin B6. It's good to eat dhokla for evening snack, breakfast. Thank you. 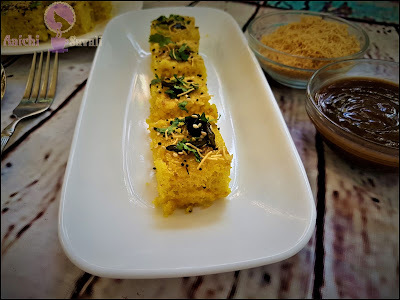 Dhokla is my favorite and it's quick and easy to prepare. 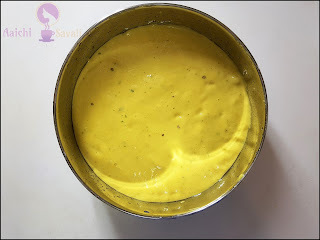 Idli mould is definitely a good option and that will look nice too. How is this gluten free? Semolina is actually just a type of flour made from durum wheat. Your ingredients list says 11g ginger? How much is that in spoons as people don't have scales at home. Your instructions say ginger-garlic but your ingredients list doesn't have garlic. Your photo of ingredients doesn't have either ginger or garlic.